It's day 2 of KWZ week, so let's take a look at KWZ Gummiberry. Thanks to Pen Chalet for sending a sample over for review. 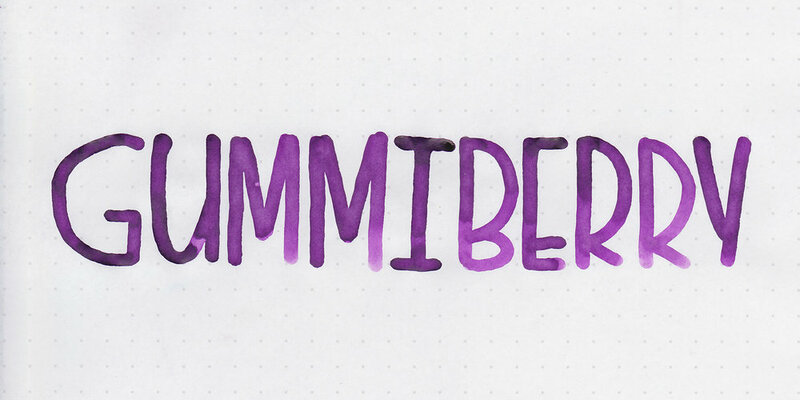 Gummiberry is a medium, saturated purple. Feathering: Low-there was quite a bit of feathering in the flex nib on Rhodia, but other than that there was no feathering. Bleeding: Low-there was some bleeding on Rhodia and Tomoe River paper, but only in the flex nib. Other properties: No shading, no sheen, and no shimmer. There is some small variation in color, but not enough that I would call it shading. 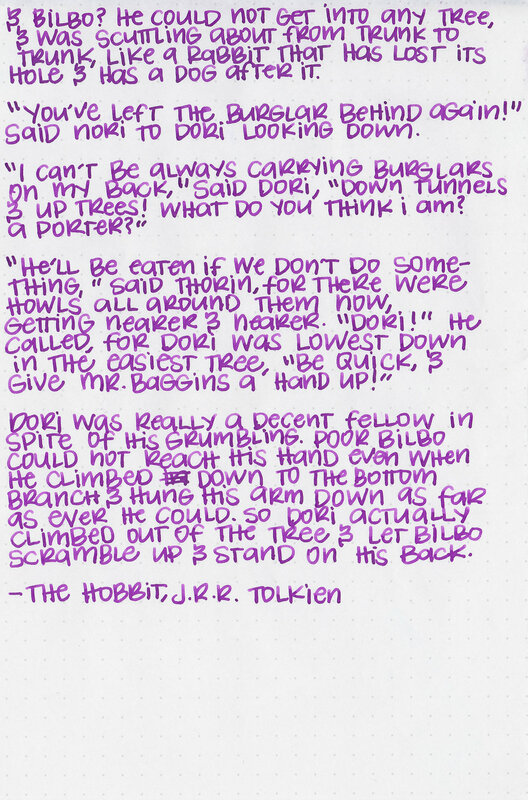 It does look different in a fine nib than it looks in a broad nib, but that's not shading. Ink swabs for comparison, left to right (top to bottom for mobile RSS): Diamine Purple Dream, KWZ Gummiberry, and Montblanc Beatles. Click here to see the KWZ inks together. Waterman Tender Purple, Lamy Dark Lilac, and KWZ Iron Gall Gummiberry. Click here to see the purple inks together. I used a broad Twilight Vanishing Point on Tomoe River paper. The ink had a lovely wet flow. 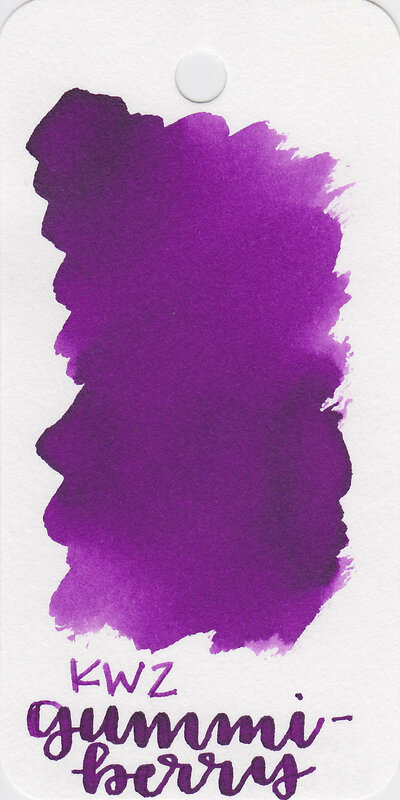 Overall, I like the flow of this ink, and it has a lovely purple color. Give it a try, you might love it.